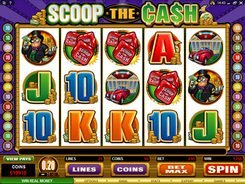 Released by Microgaming, Scoop the Cash is a money-themed slot boasting a few unique features that set the game apart. The symbols are related to money, and even playing card symbols adorned with coin piles fit the theme nicely. 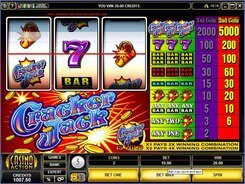 The slot is played over 5 reels and 25 paylines, with a total bet ranging from $0.01 to $50 per spin. 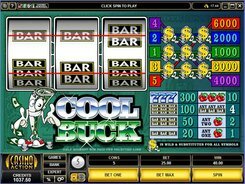 The top jackpot award worth $10,000 is granted for five wild symbols landed on a payline OR scattered anywhere on the reels, which is a truly innovative approach to wild symbol payout rules. 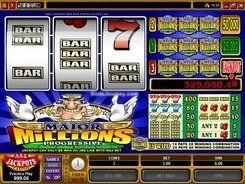 Along with 20 free games triggered by scattered Safe symbols, the slot features a second-to-none Scoop the Cash Bonus activated by getting Dice on reels 2, 3 and 4 at a time. You will be then taken to the second screen showing a wheel divided into colored sectors. You get 2, 3 or 4 dice throws. 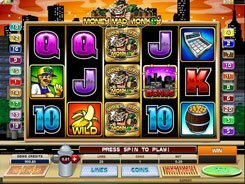 After completing the dice rolls, you will win the award according to the paytable displayed to the left of the wheel. 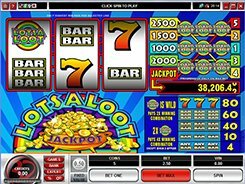 The outcome of your bonus round is saved for future gaming sessions, so you can win even more when activating the feature again. PLAY FOR REAL MONEY!